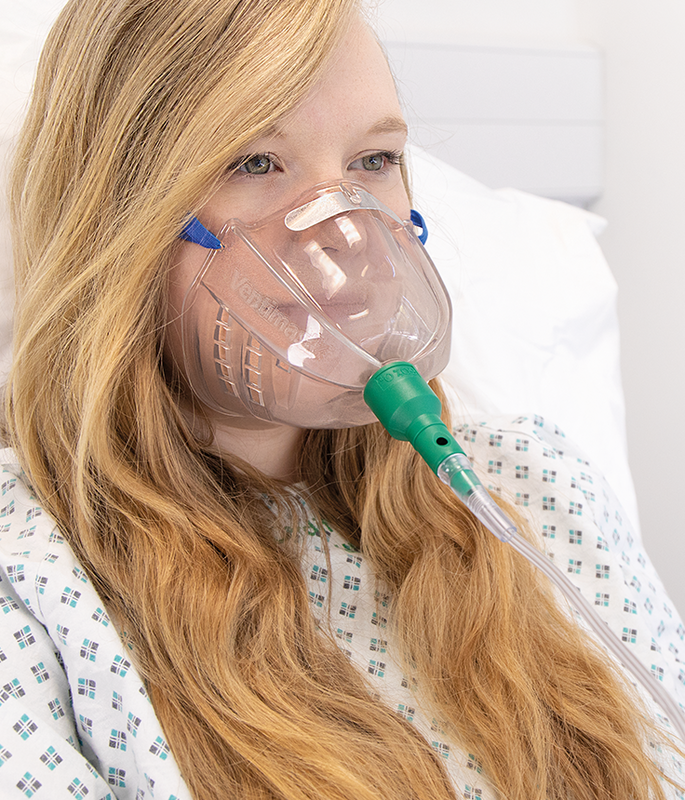 Clinically proven that “only the Ventimask is able to provide a fixed and predictable oxygen concentration under conditions of the changing ventilatory patterns found in clinical practice.”1 Ventimask is the accepted standard for controlled oxygen therapy for exact oxygen concentration delivery, optimum clinical performance and greater patient acceptability. 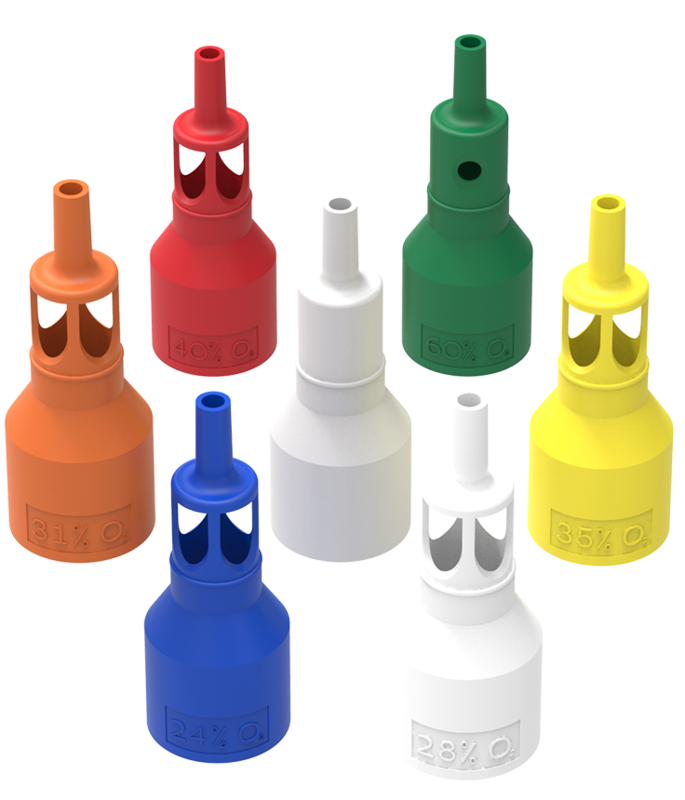 Large 280ml capacity acts as an oxygen reservoir and maximises accuracy. Also reduces any feeling of claustrophobia, improving therapy compliance. 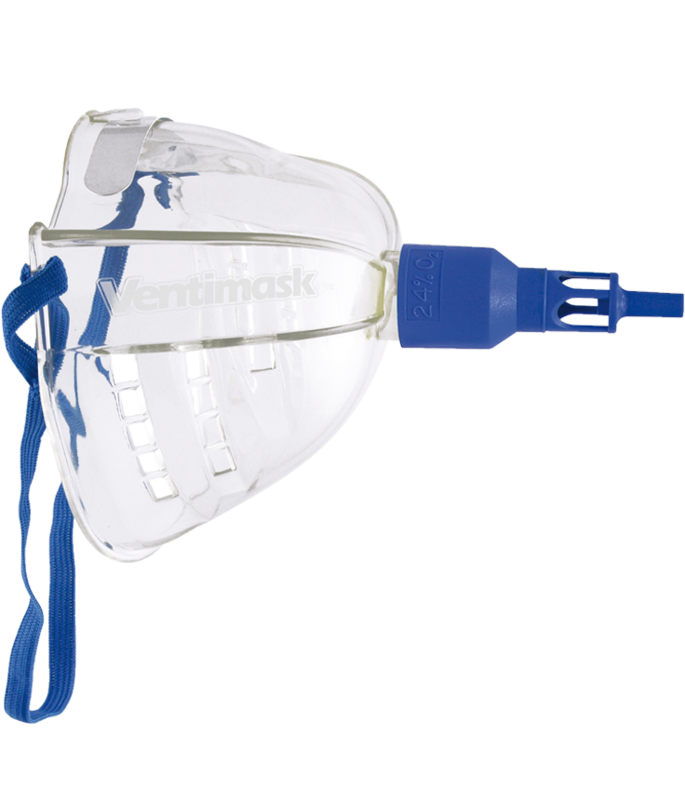 The number and position of the vents enhance CO2 washout and prevent pressure build-up in the mask. The masks seals comfortably to the face without pressure points. Minimises irritation and drying of the eyes.